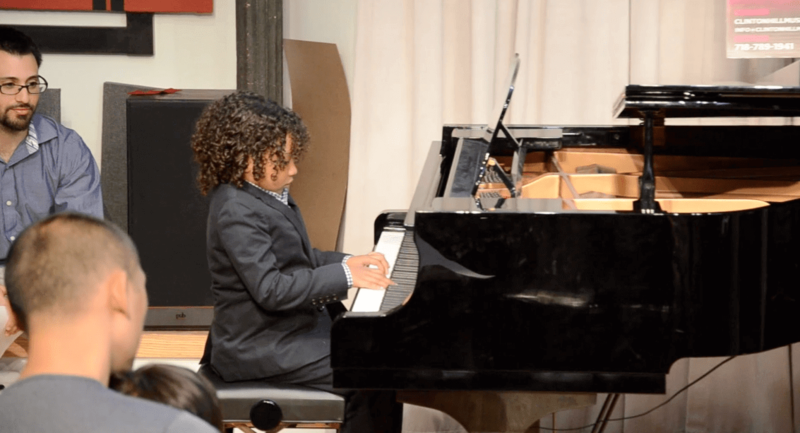 Founded by Jen Herman and Marty Isenberg, the Clinton Hill Music School doesn’t just provide the chance to play an instrument, we strive to motivate and inspire our students to expand what they believe they are capable of and to push the boundaries of what they think is possible. Our methodology combines fun tactile learning, personalized lesson plans, and reinforcing music fundamentals. Director, Marty Isenberg, has spent the better part of his life immersed in music. He attended the School for Jazz at New School University and received his master’s degree from New York University. His passion for music has taken him across the globe, playing in numerous orchestras, Broadway shows, music festivals and touring with bands. Now offering in-home private lessons! CHMS has been operating as a neighborhood music studio since our founding in 2012. But this year we are changing formats to become an in-home lessons service. Our teachers will travel to your homes to teach private lessons to make the experience a greater convenience for our community. Registration today for the 2019 Spring Semester! Register for a trial lesson today! The Spring Semester begins on Tuesday, January 22nd, 2019 and runs through Sunday, June 2nd, 2019. The Semester consists of 14 weeks of private lessons and two group classes, culminating in a student recital at the end of the term. For more information, please visit our Lessons page. Now Offering Drums, voice, and cello lessons! For many years CHMS has offered dedicated instructors specializing in string instruments and piano. As our community grows, so does the number of instruments we offer to teach! If you don’t see the instrument you are interested in learning on our registration page, please email info@clintonhillmusicschool.com and we will let you know if lessons on that instrument are available.